The Star Adventurer can attach to any standard tripod via its ¼" or 3/8" adaptors. The latitude can be set by either adjusting the tilt of your tripod head to match your latitude or more accurately by purchasing the optional Equatorial Wedge. To fit a camera to the Star Adventurer, either a tripod Ball Head is required (not supplied) or the optional Dovetail L-Bracket. 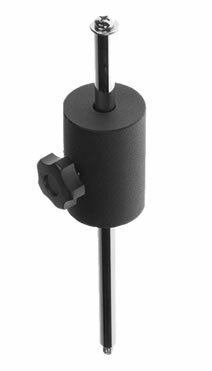 The optional Dovetail L-Bracket used in conjunction with the optional counterweight shaft/counterweight also allows small telescopes (e.g. 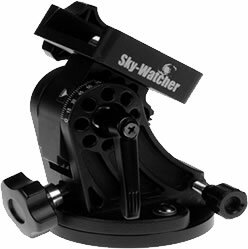 Skymax-90), with a ¼-20 tripod fitting, to be used with the Star Adventurer. 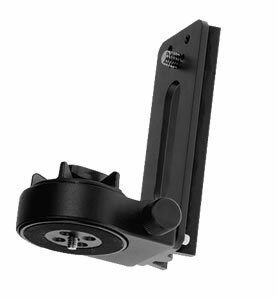 A small telescope and camera (using a ball head, not supplied) can be mounted simultaneously on the Dovetail L-bracket. Using just the dovetail bar from the optional Dovetail L-Bracket, two cameras can be mounted at the same time using two tripod ball heads (not supplied). An optional, high precision equatorial wedge for the Skywatcher Star Adventurer. This will enable greater precision when polar aligning and setting the latitude which in turn will ensure better/longer tracking. Offers more accuracy and stability than a standard photo tripod head. Allows you to mount a camera or telescope with a 1/4" thread screw to the Star Adventurer. Allows pointing and fine-tuning in two directions. Counterweight kit includes counterweight shaft and 1kg counterweight. Helps balance the telescope or camera load on the Star Adventurer. Particularly important if you are using a small telescope for astrophotography. Star Adventurer Astro-Photo Bundle: includes the Star Adventurer Mount, Ball Head Adaptor, Illuminated Polar Scope, Dovetail L-Bracket, Equatorial Wedge and Counterweight Shaft with 1kg Counterweight. Various Sky-Watcher electronic shutter release cables can be purchased separately for many popular camera models/brands.